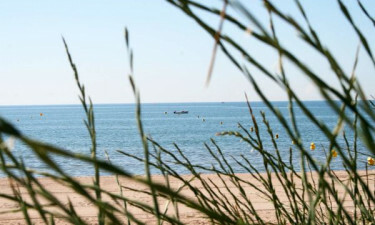 This luxury camping site, found only moments away from the famous shores of Sérignan Plage, has won numerous awards over the years and is an ideal choice for anyone who is planning a camping holiday. It is always possible to learn more by consulting the experts at LUX-camp. Why Should I Choose the Holiday Camping Site of Aloha Village? No less than 470 pitches set within the private confines of 10 hectares. The ability to cater to the needs of children and youths. 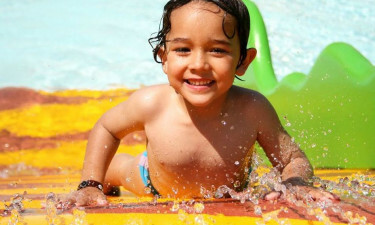 Although the amenities that this luxury camping site offers cannot be overstated, it is just as necessary to remember that this region of France is one of the most temperate throughout the entire country. This is due to the nearby presence of the Mediterranean Sea, meaning summers are much cooler when compared to inland locations while the winter temperatures are moderate and mild. These features allow Aloha Village is be an ideal option for those who may have difficulty visiting during the peak tourist season. The beach known as Sérignan Plage can be thought of as "paradise on earth". Boasting endless miles of sandy beaches and clean waters, parents and children alike will be able to soak up the surf and the sun. his area is also quite famous for those who have taken up sailing or kite surfing as a hobby. 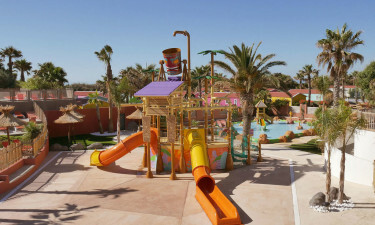 Arriving here from a mobile home is never an issue, as the beach is located within this luxury camping resort. An on-site restaurant will offer the entire family an even further level of luxury. Set within a maritime ambiance, traditional Languedoc dishes are prepared by master chefs, however, the ability to offer an international menu signifies that home is never far away. A bar is found within the restaurant; perfect for anyone who hopes to indulge a bit before or after a tasty meal. There is also a selection of foods intended for children as well as a tempting selection of desserts. Aloha Village provides its guests with numerous shopping opportunities found only moments away from the on-site mobile homes. There is a bakery to be found here as well as a food market and even a delicatessen. Fresh fruits and vegetables (locally harvested), meats, fish and other foods are provided. Basic camping supplies as well as souvenirs can be purchased as well. To appreciate true camping in luxury, please contact LUX-camp for further details in terms of prices and services.